This is a foreign exchange guide to Singapore, the Singapore Dollar currency plus SGD transfers and travel tips. Singapore Dollar exchange rates - latest & historic exchange rates. SGD News - the latest Singapore Dollar related articles from our blog. What is the Singapore Dollar currency code and symbol? The three letter currency code for the Singapore Dollar is SGD and the symbol is $. Which countries use the Singapore Dollar? It is the domestic currency in Singapore. According to the Bank for International Settlements, trading in the Singapore dollar contributes to 1.8% of the foreign exchange market’s daily turnover, and as such the currency is Asia’s third most traded (behind the Japanese yen and China’s yuan) and the twelfth most traded in the world. Singapore’s currency is of special importance to the country’s central bank, the Monetary Authority of Singapore (MAS). Unlike other central banks which tighten or ease monetary policy by adjusting a national interest rate, the MAS achieve the same end via management of Singapore dollar exchange rates – an unconventional method which has served the country well since its introduction in 1981. Because of its importance to monetary policy, the value of the Singapore dollar is managed carefully under a ‘managed float’ regime and is not truly freely floating. Its value is managed against a basket of currencies from the country’s major trading partners and the trade-weighted Singapore dollar exchange rate is restricted by the central bank to moves within a specified range, the boundaries of which are announced every six months. The currency’s all-time valuation low against the US dollar occurred in September 1985 when USD/SGD reached 2.31. It's all-time high came in August 2011 when USD/SGD fell to just 1.2. The interactive chart below shows the USD to SGD exchange rate for the previous 3 months with rate alerts for days when the exchange rate moved up or down significantly or for 30 day highs and lows. 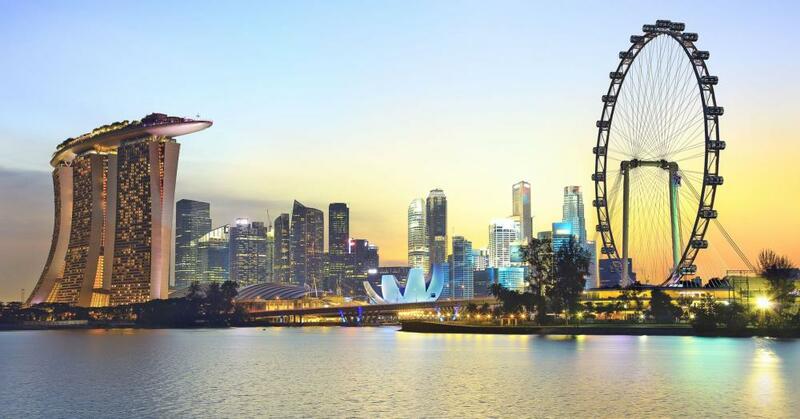 Famous for it's cleanliness, diverse culture, fantastic food and stunning architecture, Singapore is becoming an increasingly popular destination.. The concrete jungles that once dominated Singapore’s skyline are slowly giving way to green skyscrapers, which look more like living ecosystems than business hubs. Fervently working towards its ‘City in a Garden’ dream, the nation is ploughing money into becoming more sustainable and, well, green. 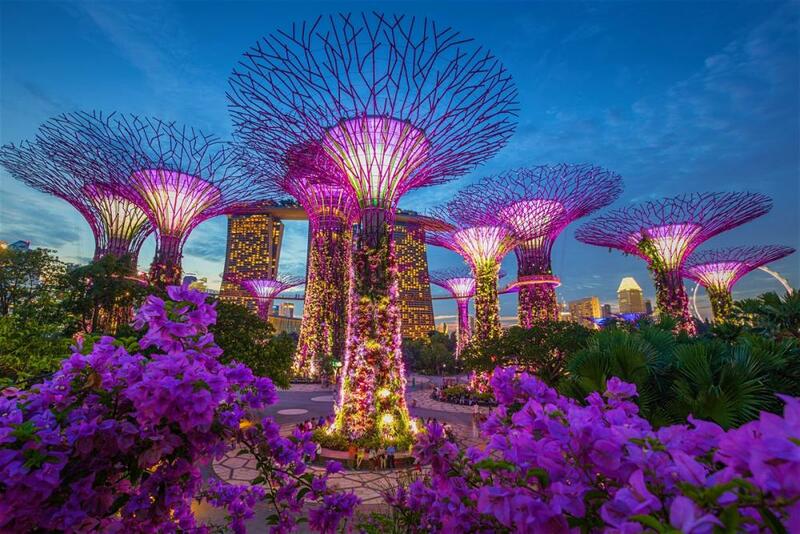 Head out of town a little and you’ll find plenty of walking trails, treetop jungle bridges, wildlife galore and the city's green jewel, the Unesco World Heritage–listed Singapore Botanic Gardens: these are the lungs of Singapore. What currency is used in Singapore? Singapore’s official currency is the Singapore Dollar (SGD), and it is divided into 100 cents. Foreign currencies, travelers’ checks, and personal checks can be changed at most banks and licensed money changers. ATMs can be found all over Singapore, and major credit cards are widely accepted. There are plenty of buses and taxis around Singapore, but the Mass Rapid Transit (MRT) runs the length and breadth of the country. The efficient Mass Rapid Transit (MRT) subway system is the easiest, quickest and most comfortable way to get around Singapore. The system operates from 5.30am to midnight, with trains at peak times running every two to three minutes, and off-peak every five to seven minutes. MRT tickets vary in price, as they are based on the distance traveled, but generally cost around 4 SGD. Travel on public transport is just 10 SGD per day for tourists with a Singapore Tourist Pass. This will get you unlimited rides on a number of buses and trains. Singapore's extensive bus service is clean, efficient and regular, reaching every corner of the island. The two main operators are SBS Transit and SMRT. Both offer similar services. For information and routes, check the websites. Alternatively download the 'SG Buses' smartphone app, which will give you real-time bus arrivals. "Supertrees" in Gardens by the Bay. For the budget travelers the stalls here offer food for less than 6 SGD and are a great place to sample local snacks, otherwise eating out can cost you. If you struggle with finding your way around there is a very complex underground system that is very useful. Visit the Southern Islands of Singapore from the Marina South Pier. There are regular bumboat (motorised sampan) services from Changi Point Ferry Terminal to Pulau Ubin (S$3). To get there, take bus 2 from Tanah Merah MRT. Singapore is not cheap, but that aside it is a classy, and impressive place to visit. Singapore is expensive by Southeast-Asian standards, with everything costing about double what it does elsewhere in the region. However, the extra fees may be worth it because it’s small enough to explore adequately in a short amount of time, and has modern conveniences and infrastructure right at your fingertips. There is so much to do in Singapore, try to spend a few days, the food is amazing. That said, it can get pretty humid, so depending on your tastes decide on your travel time wisely. Singapore‘s tropical climate means it’s like summer all year round, with temperatures ranging from 26–34 degrees Celsius (about 78–93 degrees Fahrenheit) on average. The high humidity also means a lot of perspiration when outdoors, so pick the right clothing to wear or risk looking like a sweaty, frazzled mess throughout your trip. Plan your outdoor activities for cooler mornings, and urban walks at night when the lights come on. Food in Singapore is taken very seriously. From cheap hawker fare to Michelin-starred fine dining, food-enamoured Singaporeans will line up for it, Instagram the hell out of it and passionately debate whether it is ‘die, die, must try’ – Singlish slang for ‘to die for’. Don’t fret about finding a place to chow down, as each neighbourhood is home to local hawker centres and coffeeshops dishing up some of the island’s best meals for just a couple of bucks. Located along Marina Bay, Gardens by the Bay is a urban landscaping project is a series of fake “supertrees”. At heights of 80-160 feet, the metal structures have roughly 200 species of orchids, ferns, and other tropical plants coating their structure and forming a lush, colorful skin. It’s free to walk through the outdoor gardens, but you have to pay $8 SGD ($6 USD) for entry if you want to do the OCBC Skyway (the 128-metre long walkway through the canopy of the Supertree Grove). Save money and time by Ordering your Singapore Dollar online from Travelex, you get better rates and can pick up the SGD cash locally or even on travel day at the airport. For card purchases if offered a choice of currencies always select to Pay in Singapore Dollar otherwise you may get much worst exchange rates. Compare SGD travel cash rates - probably why you are here! When searching around for information on how to get a good exchange rate when sending money to Singapore you need to start with finding out the latest Singapore Dollar foreign-transfer exchange rate. Once your funds are received by the provider the converted SGD amount will be transfered to the recipient account you specify in Singapore. Use our Send to SGD calculator to compare the exchange rates of FX specialist providers rates versus your bank's standard rates you can hopefully save around 5% and maybe more - end result is more Singapore Dollar deposited into the recipient bank account and less margins and fees kept by the banks!